I like to read Robert Genn's posts. He's a painter. He wrote today about Henry Miller, a writer. Henry Miller had a list of "writing commandments" that he gave to fellow writers. This one in particular stood out to me. It's a corker. If you're a creative person, you may think that you have to feel creative to do work. Not so. There are lots of tasks that support creativity which you don't have to "feel creative" to do. Sew arms and legs of a folk art doll. 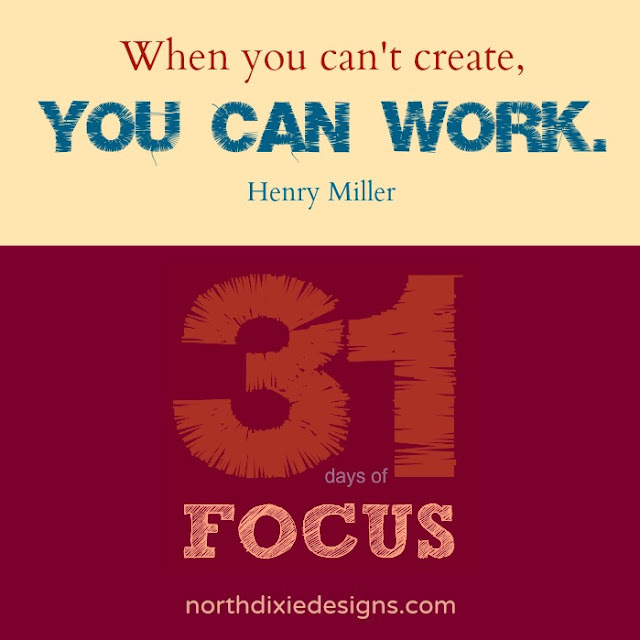 Make a list of all the "uncreative" things you can do that support the creative process. Do those when you don't feel creative. Read Robert Genn's post because some of the other commandments may apply as well. Very good! I think that can apply to many areas of our life. We can chip away at something regardless of our feelings.